Giulia Baso, AHRC funded, co-supervised with Prof Danielle Hipkins: Contamination and Mediation in the Films of Antonioni and Egoyan, completed January 2015, passed with minor corrections (examiners: Prof Emma Wilson and Prof Will Higbee). 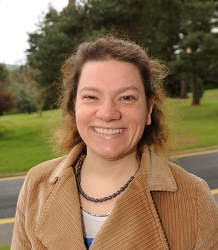 Clara Bradbury-Rance, AHRC funded, MRes 2010-2011. Queer Postfeminism and the films of Lisa Cholodenko, passed with distinction. Clara is now completing a PhD in Manchester with AHRC funding, under the supervision of Prof Jackie Stacey.